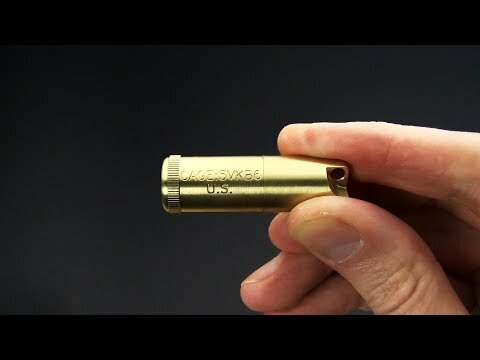 A perfect addition to your First Aid Kit, EDC / Prepper Bag, Car, Kitchen or Backpack this Maratac Peanut Lighter has a body made from buttery smooth C360 Free Machining Brass. This Large version has also been upgraded with a flat bottom that allows it to be used as a candle in emergency situations. The removable Solid Brass lighter insert allows it to be used as a waterproof pill vial. Popular for the easy of carry the Brass Peanut can also be stored for an extended period of time without the fluid drying out. Comes with extra flints included.